Rock Sound: On the beach. The mama and the papa on Rock Sound beach. Rock Sound: Socializing with Jamaicans at the Blue Hole. 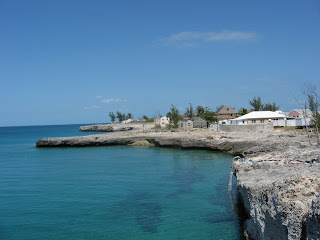 Cape Eleuthera marina: Siphoning R/O water in our tank. 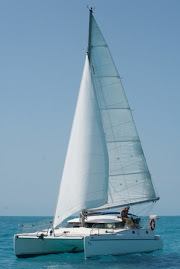 We each had our job doing the water transport. Cape Eleuthera marina: Giving the dogs water on one of our walks. 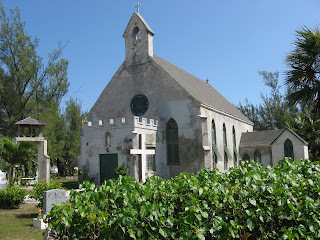 Governor's Harbour: The cute church. 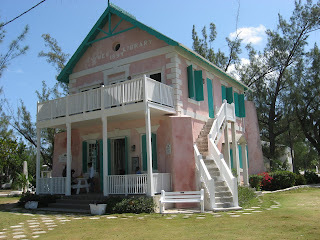 Governor's Harbour: The interesting looking library. 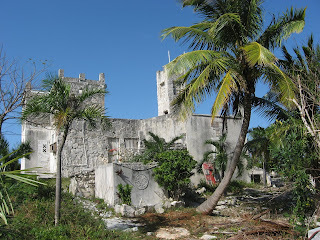 Tarpum Bay: Ruins of some kind of castle or church. Tarpum Bay: Buying fish from the locals. 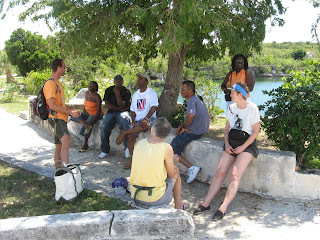 Cape Eleuthera marina: Listening to the weather forecast of heavy winds, and being disappointed. Plans will have to change.